Christmas in Vietnam is both hilarious and confusing, because, really, it’s just another day. Vietnam is officially an atheistic country, so nobody gets the day off — but you’ll hear Christmas carols everywhere you go and many businesses put up elaborate decorations. Especially in famous churches throughout Vietnam. Its location and architectures actually allure even demanding tourists. 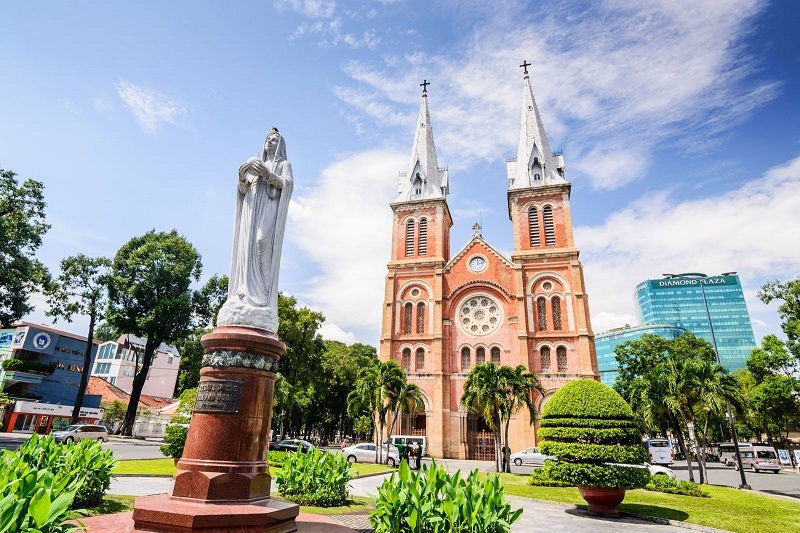 Located in Notre Dame Cathedral Saigon the heart of hustling Saigon and surrounded by a series of large and small structures with modern and ancient architecture, Saigon Notre Dame Basilica was the first church in the journey to find out the “Pearl of the Far East”. 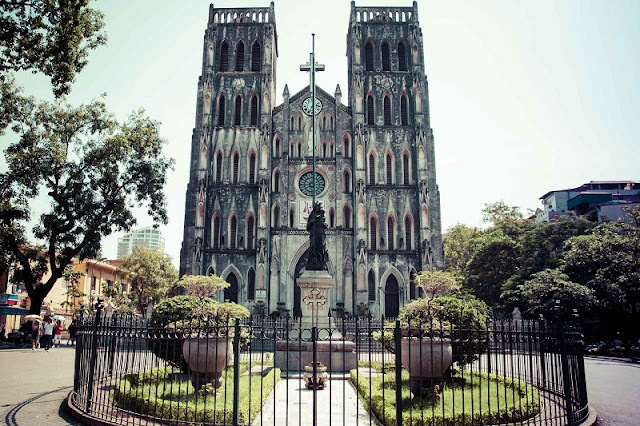 Apart from marvelous French-style architecture, the Church highlights with the warm brick, Roman rolled doorway, Gothic-style dome, the heaviest nationwide bell, green parks nearby or “pedestal” coffee pleasure, a typical relaxation of the youth in Ho Chi Minh City. 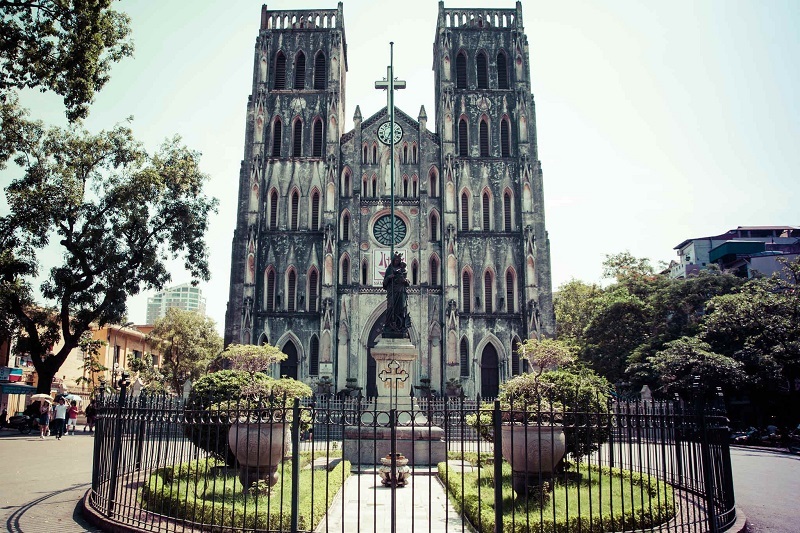 St. Joseph’s Cathedral, also known as Hanoi Cathedral was built on the land which is previously famous Bao Thien tower in ancient Thang Long (Century 11-12). It is considered as miniature Notre Dame Cathedral Paris’s architecture. This is a typical church in Gothic architecture, in which wide arches are curved and point at the sky. 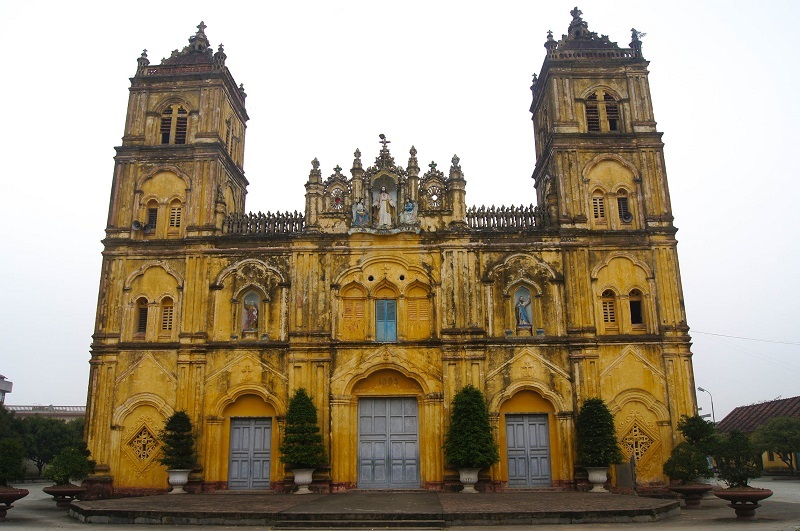 Yet, as many other churches in Hanoi, St. Joseph’s Cathedral was localized in carved and gilded detail. Building materials of the church is terracotta tiles; walls plastered with cardboard. 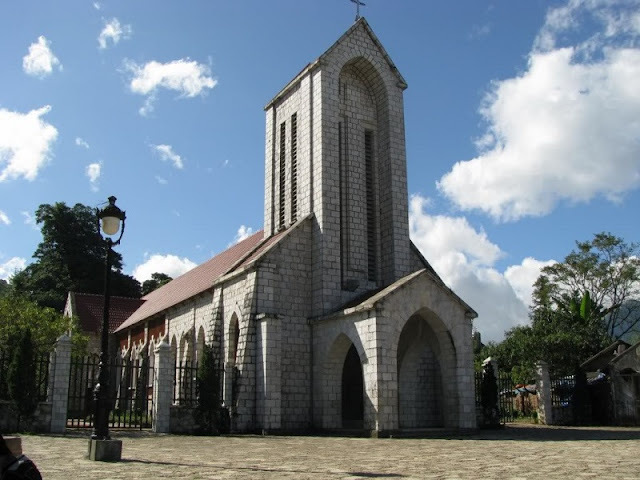 Ham Long Church was designed and completed by a Vietnamese architect in December, 1934 with the height of 17 meters. The church was built with traditional materials such as lime, bamboo and cardboard...to create arches and make echo effects when celebrating the Mass. Ham Long Church with two street frontage overlooking Ham Long and Ngo Thi Nham street is considered as one of the most beautiful churches in Hanoi. Sa Pa Stone Church has been nominated by the Vietnam Records Book Centre (VietKings) as one of the top five over 100-year-old churches in Vietnam. It is introduced as a unique and attractive spiritual tourism destination. Located in downtown Sa Pa, with Ham Rong Mountain behind, this Roman Gothic architecture church was built with distinct pyramid rooftop, belfry, and arches. Covering 6,000sq.m, the stone church includes 7 compartments, a 20m belfry with a 1.5-meter bell, weighing 500 kilograms. 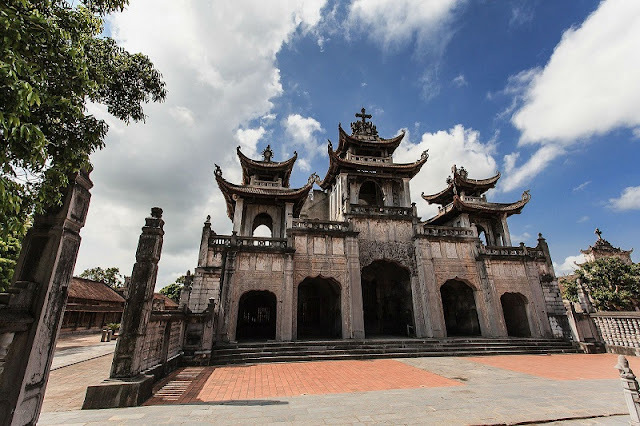 Phat Diem Cathedral, located in Kim Son district, Ninh Binh province, is one of the most famous and beautiful churches in Vietnam with special architecture- an elegant combination between Western church architecture style and Vietnamese religious buildings. It took 24 years to build this church from 1875 to 1898. And as its name suggests, it was completely built of stone and wood that are readily available in the mountain area of Ninh Binh. Ninh Binh province and Japanese researchers are completing documents on Phat Diem cathedral’s architecture to submit to UNESCO for recognition as a world cultural heritage site. 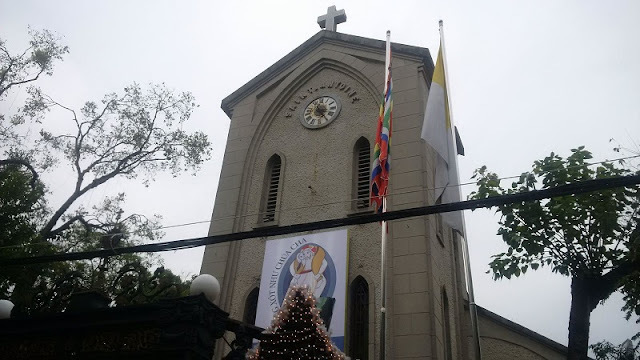 The church, which is located in Xuan Phuong Commune, Xuan Truong District, was first built in 1866 as a small temple, but was later renovated and expanded. It is considered as the biggest church of Gothic architecture in Vietnam, with 30m height, 28m width and 80m length. There are 2 bell towers with 44m height, containing 4 bells. It has statues stuck on the surface of the walls or the doors. Visit the famous church on the journey to explore Vietnam on the upcoming holiday to have unique and unforgettable experience.